Make the most of the time you have before the holidays hit with these expert cleaning tips. Cleaning your house before the holidays—whether for house guests, a party, or to make way for new items—is no small feat. Getting everything finished in time can feel overwhelming, but it doesn’t have to be. And every second between now and the first guest’s arrival doesn’t need to be spent cleaning, either. Bailey Carson, the Head of Cleaning at Handy, an app that offers a variety of household services, has last-minute cleaning tips to make the holiday season both more relaxed and a little neater. Whether you have five hours or five minutes to tackles a quick clean, these tips can help make the most of every moment. Start with the big issues that cause you the most stress, like a cluttered kitchen table or a chair that has so much other stuff on it that it can’t be used as one. Once those big ticket clutter problems are resolved, you’ll feel accomplished and inspired to tackle something else. Plus, Carson says, “Visual clutter makes your whole home feel messier.” Making that clutter disappear, even if that’s the only thing you do, can help the whole house feel neater. 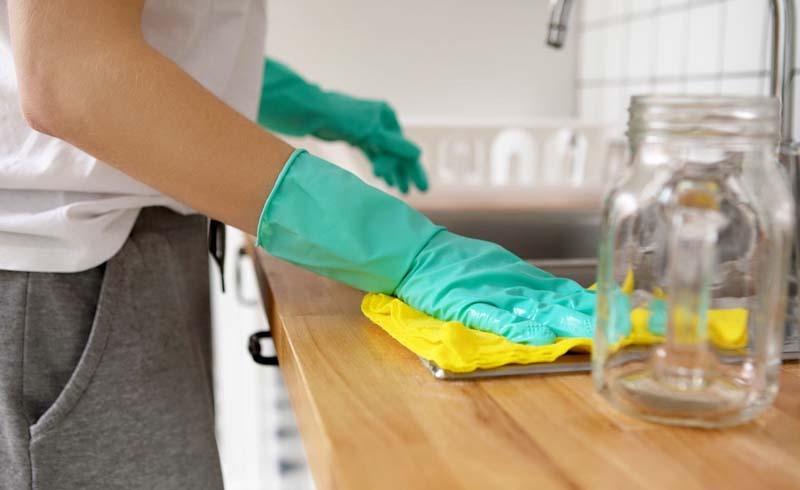 “There is no need to add extra stress by trying to get every room in your home clean, especially when we all know most of the time will be spent in the kitchen,” Carson says. Focus on the rooms where you, your family, and guests (if there are any) will be spending the most time. Carson suggests starting with the kitchen, bathroom, and guest bedrooms. If you’re really crunched for time, don’t hesitate too long to call in reinforcements. Turn to family members first; it’s their mess, too, after all. If that’s still not enough, ask for help (in exchange for a little extra money) from the babysitter or dog-sitter, consider bringing in a cleaning service, or ask friends and neighbors if they’ll stop by for a little bit to help out. (Make it clear that there will be wine or cookies available, too.) If you’d rather handle the cleaning yourself, try farming out another chore, like grocery shopping or taking the dog to get groomed. 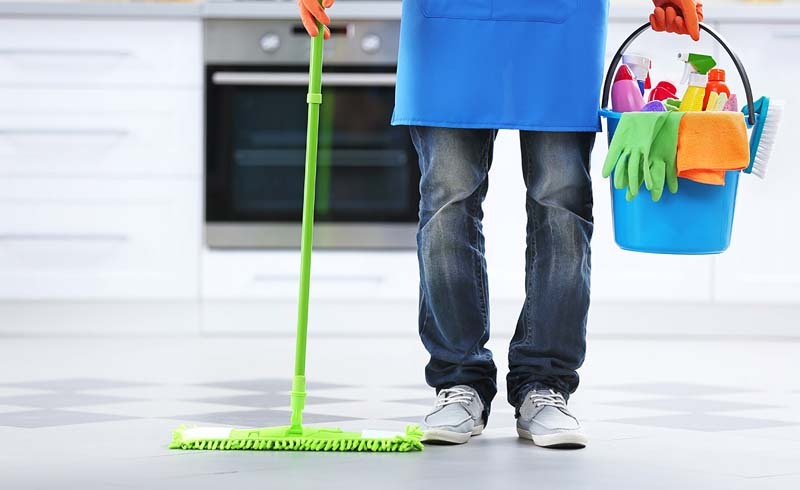 Right before the big holiday party is not the time to try a new cleaning method or tackle something major, like running the self-clean cycle on the oven for the first time or trying to pressure wash the driveway. “Complex projects not only eat up time, but could also easily get out of hand and create more of a mess than when you started,” Carson says. Instead, focus on the tasks you’re confident you can easily complete.